It's a good thing that the Rosemary's Baby miniseries has already come and gone. Everyone remembers Zoe Saldana playing the lead character in Rosemary's Baby, the trailers for which pretty much made us all terrified to ever get pregnant ever for fear of our children turning out to be the spawn of Satan. Now it's being reported that Saldana might be expecting a little spawn of her own. Us Weekly broke the news that Zoe Saldana is pregnant with her first child by husband Marco Perego and all we can do is hope that art doesn't imitate life with this one. According to Us Weekly, the news was confirmed by an insider who revealed that Saldana is about three months pregnant at this point and keeping the news under wraps until "she's ready". We're seeing a lot of Saldana these days while she heads around the world on the Guardians of the Galaxy press tour, but people have been speculating that she might be pregnant considering her flowing outfits give her a lot of leeway to hide a potential bump. The insider also confirms that both Saldana and Perego are looking forward to being parents and having a large family, which wouldn't be surprising. At the very least, it wouldn't be surprising that we haven't heard that from Saldana and Perego themselves. After all, Saldana and Perego got married in secret in June 2013 and no one found out until about three months later. 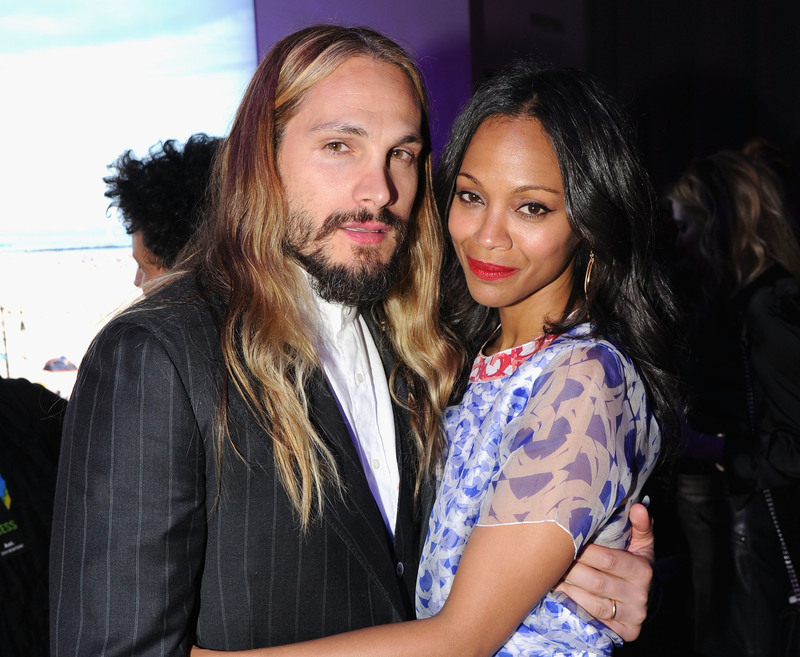 If there's one person who keeps her private life as private as she possibly can, it's Zoe Saldana. At the very least, her publicist has confirmed the news to The Hollywood Reporter, so it might be time for us to start helping Saldana think of baby names — or of baby names that she should avoid entirely. She definitely shouldn't name the baby Adrian (Rosemary's Baby) or Damien (The Omen). That would just be tempting fate.